Tata Motors’ Nano, the cheapest car launched in recent times, is now also among models clocking lowest monthly production and sales volume (in double digits to be precise). The average daily production of just two Nano cars at the company’s Sanand plant is indication enough that this vehicle is now as good as obsolete. Dealers of Tata Motors in most parts of the country have stopped placing orders for this small car in the last three-four months and the showrooms are displaying contemporary models such as Tiago, Tigor, Hexa and Nexon. Here are the numbers: Tata Motors dispatched 180 Nanos to its 630 sales outlets this August (against 711 in August 2016). The number came down to 124 units in September and further dipped to just 57 units in October. September and October were festive months with high demand for car. It was also reported last week that production of electric Nano is underway for a launch soon through a joint venture with Tata Motors and Coimbatore-based Jayem Automotives. It was reported that this new car will be called Neo, dealing a death blow to Nano. Business Standard spoke to five dealers of the company and they said they were sitting on a handful of Nanos but no fresh demand had been placed with the company. “A dealer in Himachal Pradesh had some buyers and I made an internal dealer transfer of a few cars to him, made possible by the GST. I sold a few units at discounts ranging between Rs 10,000 and Rs 50,000. I am left with four-five units,” said a dealer from Punjab. 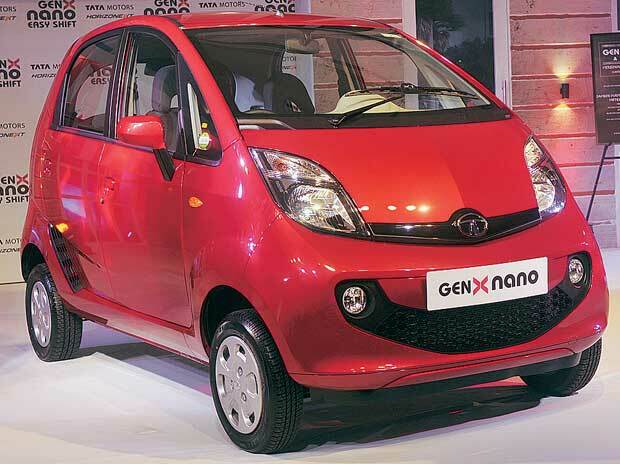 Nano is sold at a price band of Rs 2.25 lakh to Rs 3.20 lakh (ex-showroom, Delhi). Another dealer in Uttar Pradesh said the company was no longer promoting the car and there was no activity for many months. “We are liquidating old stocks. There is hardly any customer query,” he said. The car did not live up to the expectations in spite of several makeovers post its launch in 2009 when Ratan Tata was the company chairman. It was his dream project to make available a car priced at Rs 1 lakh to the public. However, its cheap tag and positioning kept many buyers away. "The Nano demand is mainly from the taxi segment. We have not stopped production of the car altogether. However, since the focus is on making the higher volume models like Tiago (more than 6,200 units a month) and Tigor (around 2,300 units a month), we do not make Nanos every day. The plant makes Nanos as per production targets given to us," said a source. During the first seven months of FY18, the company made 1,299 units of Nano, less than one-fourth of previous year’s corresponding number of 5,380 vehicles. Exports of the car too have not been promising either - only 111 units exported during April to October. The vendors supplying parts for Nano are in a fix. They are also supplying components for Tiago and the Tigor. Vendors have not yet been officially asked to stop production. "Production for Nano is not viable. But we also supply parts for Tiago and to the nearby plants of Ford and Maruti. Our plant at Sanand is thus running. We have not stopped making parts for Nano yet, but from how things look, production could stop soon," said a vendor who makes crankshafts and connecting rods for Nano. According to another engine parts supplier, the component inventory at the plant varies with the type of part. "We are no longer blocking our production capacity for Nano. We continue to supply if there is a need which is stated in advance," he said. Moreover, vendors, have not been asked to develop Nano components compliant to BS VI emission norms so far, indicating that the company does not wish to continue production when BSVI norms kick in from 2020. ‘’We already have a well-defined passenger vehicle strategy in place that will look at not only the best way of addressing the segments’ requirements but an overall perspective of the portfolio. We continue to produce Nano catering to customer demand in key markets,” a Tata Motors spokesperson said in response to queries.